There is buzz among former Volunteers and others associated with the Peace Corps that the expanded future of the organization is in immediate and dramatic peril. The Peace Corps $330 million budget is insufficient even to maintain the current level of 7,876 volunteers. In recent months some potential volunteers have been asked to defer their enlistments for up to a year. To expand dramatically another $80 to $100 million is needed, a pittance in terms of the impact such an escalation would have on America and the world. Something is happening everywhere in America. The dormant idealism is awakening. The size of the Peace Corps will double. Young Americans will go to Asia and Africa and Latin America not as soldiers but as missionary of a new faith, emissaries of the best in America. They'll go into the slums, and so will middle-aged folks and retired people, and we will change this country and this world. We are ready, Mr. President, ready for you to lead us. Has President-elect Barack Obama committed his first betrayal? Has he turned away from his most exalted ideals in an act of such spiritual malfeasance that it will condemn his administration? Some observers cite the fact that the stimulus package contains money for AmeriCorps but nothing for the Peace Corps as evidence that the president-elect has turned his back on his pledge to double the size of Kennedy's most noble child. There is buzz among former Volunteers and others associated with the Peace Corps that the expanded future of the organization is in immediate and dramatic peril. The Peace Corps $330 million budget is insufficient even to maintain the current level of 7,876 volunteers. In recent months some potential volunteers have been asked to defer their enlistments for up to a year. To expand dramatically another $80 to $100 million is needed, a pittance in terms of the impact such an escalation would have on America and the world. I was a Peace Corps Volunteer in Nepal in 1964-66, an early supporter of Obama, a volunteer and a member of the steering committee in Palm Beach County, and I don't believe for a minute that he will back away from his historic pledge. He can't or he will be denying his essence. Obama will be the first president whose most formative adult life experience was service, working as a community organizer, and service/volunteering will be one of the essential themes of his presidency. 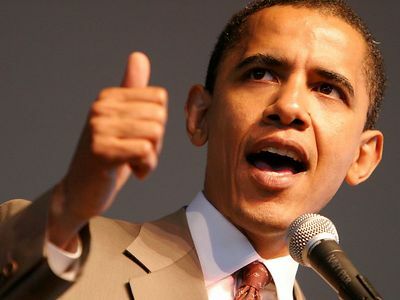 Obama will be our president, the leader we thought one of us might be, a leader going back to those ideals and taking them to new dramatic place in American life. "To restore America's standing, I will call on our greatest resource - our people," Obama says in the winter issue of Worldview Magazine. "We will double the size of the Peace Corps by its 50th anniversary in 2011. And, we'll reach out to other nations to engage their young people in similar programs, so that we work side by side to take on the common challenges that confront all humanity. This will not be a call issued in one speech or on program. This will be an important and enduring commitment of my presidency." 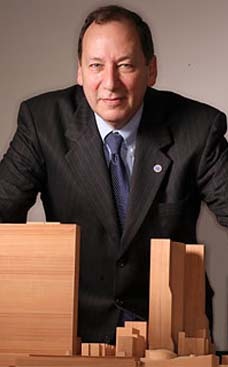 As Harvard University political philosopher Michael Sandel told Thomas Friedman in his column the day after the historic election: "The biggest applause line in his stump speech was the one that said every American will have a chance to go to college provided he or she performs a period of national service -- in the military, in the Peace Corps or in the community. Obama's campaign tapped a dormant civic idealism, a hunger among Americans to serve a cause greater than themselves, a yearning to be citizens again." It is that "dormant civic idealism" resonating among millions of Americans that can change our country. In the Obama years service/volunteering may well become the crucial mark of social legitimacy without which we are not full citizens. I understand the profound linkage between the Peace Corps/volunteer experience and the Obama campaign. Let me tell you the story of two women, one who was in my Peace Crops group, and one who volunteered with me in South Florida. Suzanne Cluett was a feisty, determined blonde from Seattle who in the Sixties trekked to remote areas of Nepal bringing medical advice to women. She worked in that same field after leaving the Peace Corps. She became the first employee of the nascent Gates Foundation. Suzanne worked with Bill Gates' father in her basement developing what has become the greatest foundation in the history of the world. Thanks to Suzanne, the Gates Foundation is imbued with the spirit of the Peace Corps. Suzanne died of cancer in 2006. A group of us from Nepal IV built a school in the mountains of Nepal in her honor. Bill Gates donated a million dollars part of which went to build a maternity hospital high up in the Himalayas so for the first time Sherpa women can give birth in a hospital. But Suzanne's real immortality rests in the Gates Foundation. Every time you read about or see its accomplishment, think that you are seeing the Peace Corps at work. Maria Cole is a beautiful, fortyish African-American dentist. She had a practice in reconstructive dentistry in South Florida. She sold it because she wanted to do something different and that something different was volunteering for Obama. She flew up to New Hampshire and worked organizing Enfield. Then she went on to South Carolina. She wanted to go to Texas but got no response from the Obama staff in Chicago. So she and a friend took off on their own and set up shop in Eagle Lake where Obama won both the primary and the caucus. In South Florida during the general campaign Maria managed the northern part of Palm Beach County. The largely black Rivera Beach generally had about a twenty percent turn out; this time it was over eighty per cent, almost all for Obama. Suzanne and Maria never met but they are sisters of the blood and spirit, partners in helping to build a great and noble movement. I am witness to the fact that as brilliant and historic a figure as Obama is, he is in some measure the vehicle for a movement far larger even than the presidency. The millions of people who volunteered discovered a spiritual affinity with each other and a cause and they has a momentum and energy that nothing can stop. I volunteer once a week for the Lord's Place in West Palm Beach working with the homeless. It's a sacrament with me. I've talked about it to Jorge Quezeda, the Latino maintenance chief in my Palm Beach condominium. Jorge's a big Obama supporter too, and he got excited hearing me talk about the Lord's Place, and he's going to start volunteering too. Something is happening everywhere in America. The dormant idealism is awakening. The size of the Peace Corps will double. Young Americans will go to Asia and Africa and Latin America not as soldiers but as missionary of a new faith, emissaries of the best in America. They'll go into the slums, and so will middle-aged folks and retired people, and we will change this country and this world. We are ready, Mr. President, ready for you to lead us.